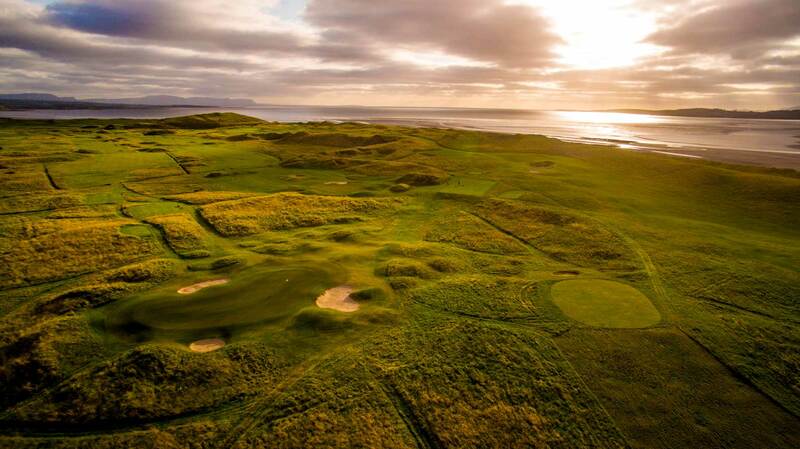 Airswing media shot some Still photos, filmed a promo video and completed flyovers of this challenging Championship Links golf course that occupies magnificent Murvagh peninsula in Donegal Bay. The course is isolated from the outside world by a forest of evergreens washed on one side by the great Atlantic Ocean and by Donegal Bay on the others. It has a panoramic view of the Bluestack Mountains and the beach that runs along the Atlantic border is one of the finest in Ireland. Please see below for some examples of the shoot.